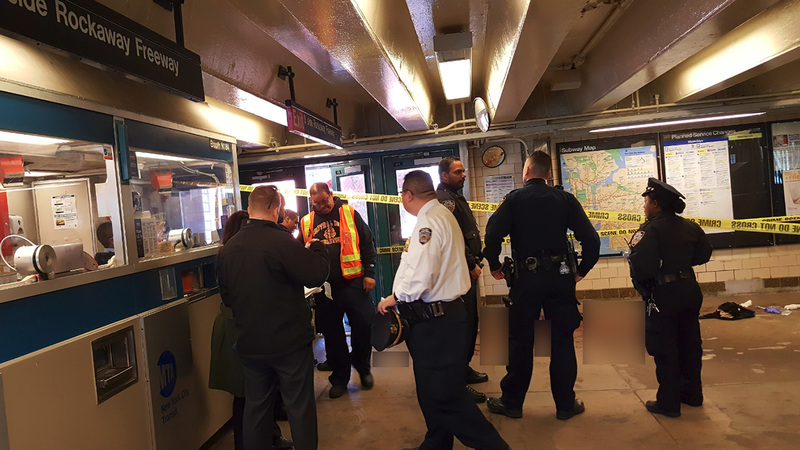 A man was slashed while standing on a subway platform in Far Rockaway, Queens, on Tuesday afternoon. It happened at "A" train Beach 90th Subway Station platform around 4:30 p.m. The 31-year-old victim was taken to Jamaica Hospital in serious but stable condition. Authorities say the man was slashed in the face, arm and thigh after a dispute on the platform with another man. Police are looking for a man and woman that fled the scene after the slashing. The male suspect is apparently around 25 years old and wearing a blue and red jacket.